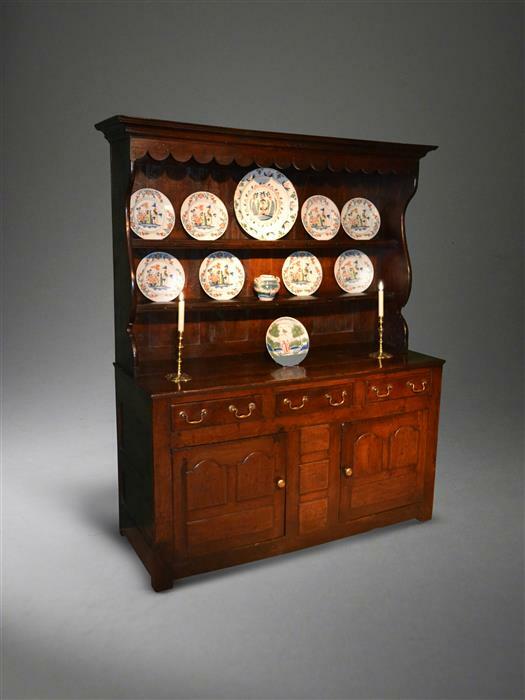 Suffolk House Antiques | Two really good Georgian dressers. TWO REALLY GOOD GEORGIAN DRESSERS. Both these mid 18th century dressers are from Wales and have the lovely colour and patination that one so often finds with Welsh oak, a benefit that one pays for when it comes to moving them as the oak is very dense and, as a result, very heavy! 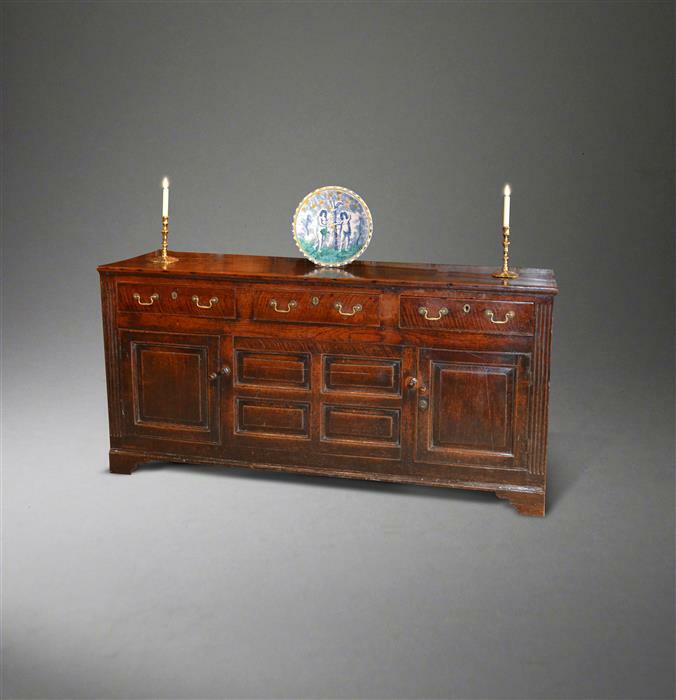 The dresser and rack is from mid Wales, possibly Merioneth, while the base is from Carmarthenshire. Full details can be found under "Dressers". The dresser and rack is priced at £4650 and the base is £3950. SOLD. 21 Feb 2015 A SMALL JAMES I OAK CHEST.